12/30/10 • Minneapolis MN • Bel Canto Design, Ltd., manufacturers of analog and digital source components and amplifiers, is delighted to unveil the C5i Integrated DAC/Amplifier. Digital inputs include 2 SPDIF 24/192 and 2 TOSLINK inputs at 24/192, a USB 24/96 input, and analog MM Phono and Line Level inputs on RCAs. The C5i DAC Integrated Amplifier powers it all, digital analog, USB and Phono MM in one compact, powerful component. The C5i converts any source into music while giving you an amazingly compact, cool-running, high output, low-power-usage analog and digital media center. The most complete integrated amplifier, Low jitter, low noise and power isolation delivers the startling dynamics in your music. Bel Canto’s e.One C5i DAC Integrated Amplifier connects to your computer, CD player, turntable, cable box or game console, and now you’ve got control of an entire media center in one component. Compare your analog collection to your digital all through one component. Just add a pair of speakers and the listening room is open! The Bel Canto C5i features an outstanding 115dB dynamic range and our proprietary low-noise D-to-A convertors are based on our award-winning DAC circuit design. The C5i Includes five digital inputs including RCA, TOSLINK and one 24/96 USB input. The analog section has one pair of line-level input RCAs and one pair of Phono MM inputs on RCAs. The core 24/192 D-to-A converters are based on our Two-Stage Master Reference Ultra-Clock™ circuitry ensuring that jitter from any source is reduced below the audible threshold. The 24-bit digital volume control is completely transparent and accurate throughout the volume range. The engineering detail that Bel Canto is known for calls for custom 0.1% audio grade resistors, class-A output control circuitry, and low-noise power supply components. The heavy-gauge all-steel chassis design prevents mechanical resonance from compromising the audio signal quality. The stereo amplifier section is based on an elegant switching output stage that eliminates thermal distortion mechanisms caused by changes in operating temperature. The front panel features a single multifunction control knob that selects inputs and volume level for the main outputs and ¼” front-panel headphone jack, providing flexibility and control with a simple user interface, easy to read display and full remote control. 2010 has been a great your for some amazing products. We have been able to see that first hand from the products that have come across our desks for review. These products include categories such as car audio, home theater, computer gear, and other miscellaneous gadgets. While we have had many award recipients, our annual 2010 Stereowise Plus Editor's Choice Awards is to honor those who have received our Top Gun award: the Editor's Choice Award, which is reserved for the best of the best. Below you will find the list of the award winners, with the product name, brief description, and link to the original review. This Asus motherboard is a feature packed motherboard for the Intel i3, i5, and i7 processors. This small wonder brings your personal files and Internet programming to your HDMI equipped TV without any subscription fees, producing great video and sound quality. A great sounding car speaker system that can be installed as a component system, or coaxial. This small chip packs a knock-out punch on any application, be it video or gaming. This compact yet hefty amplifier puts out 120 watts of clean controlled power with an elegant looking black machined aluminum finish. Using robust speaker technology apparently taken from their well known subwoofers, this component speaker system is not only built tough for years of abuse, it sounds awesome! And as a convertible speaker system they can be installed as components or coaxial. This potent yet light car amp is designed for the street racer that wants a light car, but still wants a great sounding system, and does so with its audiophile caliber hybrid Class GH technology. This unique one of a kind 3-way car component speaker system is also a convertible, allowing you to mount the tweeter over the dedicated midrange, yielding an amazing 3D sound. With products like this, I can't wait to see what 2011 has in-store. If what I saw in 2010 is any clue of what is to come, the future is looking bright. Keep up the great work! From us here at Stereowise Plus, congratulations to all on your great products. We can't wait to see more. And a Happy New Year to all! Model number: X420BV-FHDAvailable for just $599 MSRP, this 42-inch LCD HDTV can be purchased at Sears, Target, Amazon, K-Mart and NewEgg. For more information, please visit www.sceptre.com. To request more information or images on this 42-inch HDTV or the entire Sceptre product line, contact PR representative Jenny Coleman at (305) 576-1171 x24 or jennycoleman@maxborgesagency.com. # # #About SceptreHeadquartered in City of Industry, California, the hub of the computer industry, Sceptre is an internationally certified manufacturer of world class LCD and LED flat panel monitors. Established in 1984, Sceptre is fully committed to maintaining its status as a leader in the industry by providing the latest advanced technology in LCD and LED displays at affordable prices with tailored service programs. For more information, please visit www.sceptre.com. Arlington, Va., December 15, 2010 – Nearly 60 technology companies based in the Western region of the United States (Arizona, Idaho, Montana, Nevada, New Mexico, Utah and Wyoming) will showcase their latest consumer electronics products at the 2011 International CES®. The world’s largest consumer technology tradeshow, the 2011 International CES, will run January 6-9, 2011 with 2,500 exhibitors and more than 120,000 attendees from more than 130 countries. "We are very excited to participate in the 2011 International CES because the show has always offered the best opportunities for meeting with partners both new and old," said Ryan Bosch, director of sales and marketing for Scottsdale, Arizona based Grand Destiny Group / NXE. "This year we will be introducing the NXE line of carry solutions for a wide range of mobile devices." CES will feature 20 market-specific TechZones, including new destinations: 3D@Home, with content creators, service providers and TV manufacturers that make 3D in the home a reality; Access on the Go, with devices changing the way content is accessed, showcasing the most innovative devices in eBooks, netbooks, smartbooks and tablets; Broadband Communications, highlighting the role of the underlying infrastructure in expanding broadband capacity; and Connected Home Appliances which will bring white goods to the show floor for the first time in CES history, including the latest interactive, energy efficient and SmartGrid enabled appliances. "We look forward to exhibiting at the 2011 International CES," said Daren Egan, sales and marketing director for RBH Sound in Layton, Utah. "This year, we’re launching our brand-new SX Signature Series, and there just isn’t a better venue for us to do it at. CES provides a great opportunity to meet with the press and our current and prospective international clients and impress them." Other new TechZones include: Mobile DTV, featuring consumer devices that bring the digital living room to the car and portable devices; the Electric Vehicle TechZone highlighting a full range of high and low speed vehicles, energy storage devices and charging equipment; and Sports and Fitness Tech, focused on tools for the sports enthusiast and key trends impacting the multi-billion dollar sports, fitness and outdoors markets. The 2011 CES is also bringing back the popular EHX@CES, the Gaming Showcase, HDMI, Home Plug, the iLounge Pavilion, CES’ fastest growing TechZone, Location Based Services, Robotics, Safe Driver, Sustainable Planet, USB, Wireless Mobility and Zigbee. In addition, the 2011 CES will feature these lifestyle TechZones: Digital Health, HigherEd Tech, Kids@Play, Mommy Tech and Silvers Summit. "The 2011 International CES provides us a great opportunity to build business partnerships and introduce new distracted driving prevention in our teen driving safety solution to the consumer market," said Todd Follmer, CEO of inthinc Technology Solutions, based in Salt Lake City, Utah. "We will be showcasing our new cell and text blocking capability and how it works in conjunction with our driver mentoring system to dramatically reduce accidents for teens and provide peace of mind for parents." "IQ Smart Solutions is a relatively new brand and we’re looking forward to launching our new iPad accessory line at the 2011 CES," said Brian Sherman, director, IQ Smart Solutions, based in Chandler, Arizona. "We feel that CES provides an excellent platform for small companies like ours to get our unique ideas in front of thousands of potential retailers, distributors and consumers from around the world." Note to Journalists: Press and blogger information is available in the "For the Press" section of CESweb.org. Media are encouraged to arrive in Las Vegas by Tuesday, January 4, 2011 to take advantage of all the pre-show press events, including State of the Consumer Tech Industry & 2011 CES Trends to Watch, State of the Global CE Industry and CES Unveiled: The Official Press Event of the 2011 International CES all on January 4, 2011 at the Venetian. CES Press Day will follow on Wednesday, January 5. About CEA:The Consumer Electronics Association (CEA) is the preeminent trade association promoting growth in the $170 billion U.S. consumer electronics industry. More than 2,000 companies enjoy the benefits of CEA membership, including legislative advocacy, market research, technical training and education, industry promotion, standards development and the fostering of business and strategic relationships. CEA also sponsors and manages the International CES – The Global Stage for Innovation. All profits from CES are reinvested into CEA’s industry services. Find CEA online at www.CE.org. Occasionally, something special arrives that is so dramatically different and superior, that it completely changes a product sector forever. Anyone hearing the clever new audio technology from high-tech start-up, Sontia, feels that way. Sontia has been quietly travelling around the world, amazing audio manufacturers and experts with private demonstrations of its stunning, yet inexpensive, sonic technology. For the first time it will be giving visitors to the International CES 2011 show in Las Vegas, between 6th-9th January, the opportunity to experience this phenomenal ‘best-kept secret’ that will be transforming the sound of audio products over the next year or two. (Sontia is on Booth 25203 and has an invitation-only sound demonstration suite). Sontia's multi-patented approach to sound improvement is radically different to conventional mass-market methods - and listeners agree that the results are stunning. It's the product of years of study into acoustics and psycho-acoustics, some seriously advanced mathematics and a passion for uncompromising sonic perfection. The work has been led by Sontia’s Founder and CEO, world-class audio guru, Chris Vernon. Chris was formerly a senior technology lecturer and programme leader at the national music academy run by The Beatles producer, Sir George Martin. Listeners comment that with Sontia's revolutionary technology on board, sound becomes dramatically better: clearer, deeper, richer, more three-dimensional, more natural, more like a live performance - they say they feel immersed in the sound. Given the chance to flick the switch to turn off Sontia's capabilities, they just don't. Michael Price, award-winning composer and music editor ('Lord of the Rings', 'Quantum of Solace'), said he was "very impressed…a naturalness and fidelity to the original that I have not heard before". 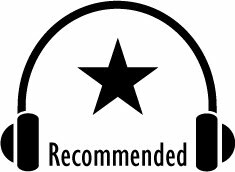 A recent reviewer in EETimes wrote, after listening to Sontia's technology in stereo (‘2.0’) speakers: "[after enabling Sontia] the sound changed entirely, making it more than simply '2.0' sound... it performed beautifully...bass portrayed huge resonance; the sound seemed like it was from a live performance". Fortunately, Sontia’s technology is affordable and therefore not solely the domain of high-end audio systems. Sontia has made it easy to adopt for product manufacturers using commonly-available electronics already found in a host of mass-market products. Furthermore, in the listening environment there's nothing to set up and no calibration required. Sontia's sound technology works brilliantly in a host of products, including: iPod docks, full home entertainment systems, computers, TVs, mobile devices, gaming devices, automotive entertainment, and more - in almost any price range. Sontia’s technology is offered on a growing number of common platforms that can be fitted onto new and existing product designs. It also develops reference designs to help its partners bring products to market that incorporate the advantages of Sontia's sound technology. Sontia has complete designs for sound-bars and will shortly be announcing electronics reference designs for iPod docks and active speakers. How does it work? In summary, Sontia's core technology firstly calculates a detailed profile, or signature, of how a specific product acts on the sound that is fed into it. This process takes into account a number of characteristics, including phase (time shifts) and frequency. It then uses this signature profile to create optimal sound reproduction from that product for all sounds that subsequently pass through. In effect, it is cleverly compensating for the unique characteristics of that particular device using a variety of acoustic parameters. CEO, Chris Vernon, explains that “Sontia's approach produces vastly superior results because it knows precisely the individual characteristics of a particular product and because it also takes into account so much more than just frequency information, which has been the traditional approach to sound improvement in the mass-market. We’re revealing a lot of important psycho-acoustic information”. Sontia has already attracted the attention of leading home entertainment, automotive and computer brands that have heard the Sontia technology and are keen to integrate it within their products. To hear Sontia’s technology, come to Booth 25203 in the South Hall at the International CES in January, between 6-9th January 2011, in Las Vegas. If you would like to know more, or schedule a private demonstration at CES, please feel free to contact us using the details below or email us at ces@sontia.com. We look forward to meeting you. About SontiaSontia is a provider of innovative sound technology for incorporation into third party audio products. It is headquartered in the UK, with offices in Sheffield, and local offices in China and Japan. It is privately funded with international investors, including former ARM Chairman, Sir Robin Saxby, and one of the world’s most successful serial technology entrepreneurs, Dr Hermann Hauser. Fremont, CA (December 15, 2010) - ASUS, the world’s number 1 motherboard manufacturer and leading innovator in graphics cards, is proud to introduce AMD’s new 6900 series of Graphical Processing Unit (GPU). HD6970 and HD6950 graphics cards field the latest graphics cores from AMD, dubbed “Cayman”. The ASUS 6970 and 6950 easily surpass previous generation performance levels in single GPU designs, ushering in unprecedented levels of realism in cutting edge DirectX 11 game titles. Featuring even more processing power than the award winning EAH5000 Series of graphics cards, the new ASUS EAH6900 Series brings HD graphics performance and smooth gameplay to PC enthusiasts. Both the EAH6970 and EAH6950 cards feature AMD Eyefinity multi-display technology, AMD HD3D technology and DirectX® 11 support. In addition, exclusive ASUS Voltage Tweak overclocking technology offers a superior overclocking experience allowing users to adjust the GPU voltage to reach higher than reference clock speeds. The EAH6970 and EAH6950 also ship with factory overclocked cores set to 890MHz and 810MHz ensuring that even straight out the box users have better gaming performance. With cutting-edge technology and a range of exclusive performance-boosting improvements gamers or enthusiasts cannot go wrong with the ASUS EAH6900 Series. Exclusive award winning ASUS Voltage Tweak technology offers real-time voltage adjustment of various GPU components, including the graphics core and video memory. In combination with the award winning Smart Doctor VGA graphics utility users have extensive control over the frequencies and fan controls of the EAH6800 Series. The EAH6970 is factory overclocked to 890MHz and the EAH6950 to 810MHz. This is higher than reference designs and offers higher frame rates in games right out of the box. Going beyond the reference design, ASUS has once again replaced the stock plastic shroud and equipped an aluminum fan cover plate that improves the cooling efficiency and reduces surface temperatures up to 14 degrees Celsius* compared to the reference design’s plastic cover. This creates better cooling on both the HD6970 and HD6950, dissipating surface heat more evenly and rapidly than the reference design. Less heat immediately translates into greater stability, better performance, longer product lifespan and increased overclocking potential. The ASUS HD6970 and HD6950 come with innovative features from AMD, including Eyefinity, HD3D and EyeSpeed technologies. AMD Eyefinity technology comes standard on both models, enabling the connection of up to six** displays to a single graphics card. This results in huge viewing real estate, offering an ideal platform for immersive gaming and expanded productivity. AMD HD3D technology creates new exciting possibilities with 3D visuals in PC games, movies, video content and even photos. The power of these new cards means the 3D effect renders in sharp detail and with no lag. AMD EyeSpeed accelerates video playback for a more enjoyable high definition experience. Content from Blu-ray to online videos runs unhampered in full resolution and detail. *Actual performance may vary based on specific system configuration and other prevailing conditions. Enhanced cooling required to achieve 50% speed boosts through Voltage Tweak. ** DisplayPort 1.2™ compatible monitors required for six-screen AMD Eyefinity output. Please visit www.amd.com/Eyefinity for more information. *** Product features and specifications may change without prior notice. Please check usa.asus.com for further details. Fanny Wang makes music social with the DuoJack inline splitter, allowing friends to share their music. December 10, 2010, San Francisco, Ca. – Fanny Wang Headphone Co., the newest line of ultra premium headphones to hit the U.S. market, will launch this month with a private tastemakers party at the W Hotel in San Francisco. Fanny Wang takes audio accessories to the next level by incorporating superior sound quality with high-fashion style. The headphones are available for pre-order for $149.95 for on-ear models at www.FannyWang.com. In the last year, fashion brands are outpacing technology brands in the headphone industry, led by Beats by Dr. Dre and Skullcandy. Fanny Wang is the newest entrant in this market, and sets itself apart by providing a superior sound, eye-catching style and competitive pricing – the best of fashion and technology for audio. “The same sound engineer who designed the Beats by Dr. Dre acoustics tackled the Fanny Wang collection. We challenged him to create a superior sound that complements urban hip hop, but also provides range to satisfy other music genres,” said David Adam, VP of Product Development for Fanny Wang. “Audiophiles will be blown away by the rich, smooth sound, and heads will turn when people check out the new Fanny Wang headphones.” Every element of the Fanny Wang headphones have been designed to create the premiere mobile music listening experience, compatible with audio players such as Apple’s iPod, iPhone and iPad. Each model includes a built-in DuoJack (patent pending) inline splitter, allowing friends to share the listening experience. Fanny Wang’s On-Ear design features 40mm titanium drivers for smooth and balanced sound, with luxurious cushion for premium comfort during long wear. Future models in Q1 2011 will include an on-ear iPhone model and over ear noise-canceling models. The Fanny Wang Headphones collapse for ease of travel with a sturdy metal hinge and are available in bold red, ink black or crisp white. Each design comes with a three-year warranty. For more information about Fanny Wang Headphone Co., please go to www.FannyWang.com or stop by booth 5238 in Las Vegas Convention Center’s North Hall at CES in from January 6-9, 2011. SAN FRANCISCO (12/8/10) – Parasound, the highly regarded San Francisco-based manufacturer of high-end audio components, has announced that it is now shipping the first production samples of its much-anticipated John Curl designed Halo JC 3 Phono Preamplifier. As Parasound's chief amplifier circuit designer, Curl has helped create dozens of the company's best products. Nearly 20 years ago he also designed the Vendetta Research SCP2B that is still regarded by many audiophiles as the preeminent phono preamp. The new Parasound Halo JC 3 is a high-performance dual-mono phono preamplifier built with high quality parts, solid construction, and a very clean design. Like all phono preamplifiers, the JC 3 must multiply the tiny audio signal generated by a high-end low-output moving coil or moving magnet phonograph cartridge and make it strong enough to deliver to the input of a line level preamplifier. However, because phono signal levels are so weak, the slightest bit of noise and distortion in the system can easily compromise the musical experience. "After working with John Curl and circuit board designer Carl Thompson, we are convinced that one of the most important elements of phono preamp design is to use the smallest possible amplifier circuit with the least amount of copper to act as an antenna for noise," said Parasound's president and founder, Richard Schram. "Indeed, the actual phono gain circuits are relatively small within the JC 3's 18 lb chassis. To keep the background black and silent I insisted on housing each channel in its own extruded aluminum enclosure, each further isolated from the power supply with 3/8-inch thick low-carbon mild steel partitions. All parts are top quality with Vishay-Dale resistors used exclusively and REL capacitors in critical circuits. In fact, the passive EQ parts values and quality are the same as in the original Vendetta. All these efforts have lead to a phono preamp with impressive performance. The JC 3's signal to noise ratio is 83 dB with the MM input and 73 dB for MC, and the RIAA curve is accurate to within 0.2 dB. It is quiet enough to excel with even the lowest output premium phono cartridges. Other features include manual or auto turn-on via a 12V trigger input, an AC line polarity reverse switch to eliminate hum in many systems, and a switchable 115V-60Hz/240V-50Hz AC power input for use around the world.The Parasound Halo JC 3 is now available with a suggested retail price of $2,350. About Parasound: Founded in 1981, Parasound Products, Inc., is a privately owned U.S. company that specializes in providing affordable audio and home theater components to the critical listener. Parasound's products are available from quality audio/video retailers, and select custom installation specialists. For more information, visit http://www.parasound.com/ or call 415-397-7100. Chandler, AZ – Cerwin Vega Mobile announces the creation of their new pro series loudspeakers, Vega Pro. “Vega Pro series loudspeakers were developed to give consumers a concert-like experience in their vehicles. Bob Chanthavongsa, Director of Sales. loudspeakers. The CVMP6.5 will retail for $99.99 each and the CVMP8.0 will retail for $139.99 each. long lasting play periods. The CVMP1.0 will retail for $149.99 (pair). For more information pertaining to Cerwin Vega Mobile products, please contact us at 480.838.9422.
complement the current Vega, Vmax, Stealth, and Stroker series of products currently offered by Cerwin Vega Mobile. HED500.1 that is retailing for $199.99 and the HED1000.1 retailing for $249.99. CV tradition of “disturbing the peace”. HED subwoofers will be available in 10” and 12” handling 300 watts of peak power. one 6.5” component system retailing for $99.99. enclosures respectively priced at $149.99 and $249.99. Minneapolis, MN – Bracketron, the leading manufacturer in mounting solutions for mobile consumer electronics, today introduced the new Hip-Kicker line for Apple iPhone 4G. The Hip-Kicker is sold as a stand-alone belt clip, or with a variety of detachable mounting configuration options for your car, including windshield and air vent. For added convenience, the product also features a “kickstand” feature for viewing in portrait or landscape mode on a desktop. “The Hip-Kicker product line offers iPhone 4 users unparalleled versatility in their car or on the go,” said Mark Mandel, Executive Vice President. “This is an exciting new line for iPhone users everywhere and demonstrates our ongoing commitment to developing innovative products for that market.” Hip-Kicker products are available at many leading consumer electronics retailers and on the Bracketron website at www.bracketron.com. About Bracketron Founded in 2001, Bracketron's successful first product offering, the custom bezel mount, was engineered for the professional installer looking for custom mounting solutions. Today, Bracketron is the leading manufacturer and supplier of mounting solutions and accessories for GPS, satellite radio, cell phone, iPod/iPhone/iPad, BlackBerry, laptop & netbook computer and other mobile electronics. Our robust product line includes innovative mounting solutions for your window, cup holder, dash, vent and visor. For more information about the company, visit www.bracketron.com or call 1.866.237.4443. IQ Smart Solutions is pleased to announce the release of their innovative new iPad travel stand. The IQ-2260 is designed to allow consumers to safely and effectively prop up their iPad in horizontal or vertical configurations. This allows for safe and effective hands free viewing of iPad content. Included in the kit is the travel stand with patented IQ receiver head and one iPad case coated in a protective black soft touch finish. The included case is also compatible with IQ’s new headrest mount, allowing consumers to effectively move their device between, home, car and airplane with ease. The IQ-2260 carries a $49.95 suggested retail price and will be shipping in January. The company is accepting preorders from dealers now. IQ Smart Solutions is pleased to announce the release of the brands first friction dash mount. The IQ-1275 provides a unique folding mounting solution for most popular portable GPS devices and stores flat when not in use. Included in the IQ-1275 is a unique silicone composite dash pad molded over a soft piece of metal. This allows the mount to be shaped to fit nearly any dash contour. The base of the mount us coated with an extra-sticky polyurethane composite that will provide a friction grip on nearly any dash. Also included in the kit are several device-specific GPS adaptors for most popular portable GPS devices from Garmin, Magellan, TomTom and Nextar. The IQ-1275 will carry a $39.95 suggested retail price and will be shipping in December. The company is accepting preorders from dealers now. IQ Smart Solutions has recently launched two new products to complement their already successful in-car mounting systems. These new products are designed to take the benefits of the popular in-car ZR mount beyond the car. The IQ-2201 iPhone desk stand includes an artfully designed aluminum mounting stand with the patented IQ received head. Also included in the kit are slide on adaptor cases for the iPhone 4, iPhone 3G and iPhone 3G/S. This package allows the consumer to efficiently position their device on a fixed surface for efficient use of features like video conferencing and movie watching. The IQ-2251 iPhone travel stand provides similar utility through the use of a simple folding attachment that is small and compact enough to fit in your pocket. When desired, the folding travel stand easily attaches to the device and folds open allowing for efficient use of the device in either portrait or landscape modes. This makes it the perfect tool for watching movies on the plane. The IQ-2201 and IQ-2250 each carry a $39.95 suggested retail price and will be shipping in December. The company is accepting preorders from dealers now. Model number: X372BV-FHDAvailable for just $499 MSRP, this 37-inch LCD HDTV can be purchased at Sears, Target, Amazon, K-Mart and NewEgg. Fremont, CA (December 7, 2010) - ASUS, the world’s number #1 motherboard manufacturer and leading innovator in graphics cards, is proud to introduce NVIDIA’s latest high-end GPU, the GTX570 Graphical Processing Unit (GPU) that features the fastest DX11 performance in its class. The ASUS GTX570 ushers in unprecedented levels of realism in cutting edge DirectX 11 game titles and also provides the graphics horsepower and video bandwidth needed to experience games and high-definition Blu-ray movies in eye-popping stereoscopic 3D. At the heart of the ASUS GTX570 are 480 CUDA cores along with a refined design offering substantial increases in performance while running cooler and quieter than previous generation products. ASUS added its exclusive Award Winning Voltage Tweak technology to the GTX570 allowing performance enthusiasts to reach higher clock speeds for improved game performance, benchmark scores or compute performance. 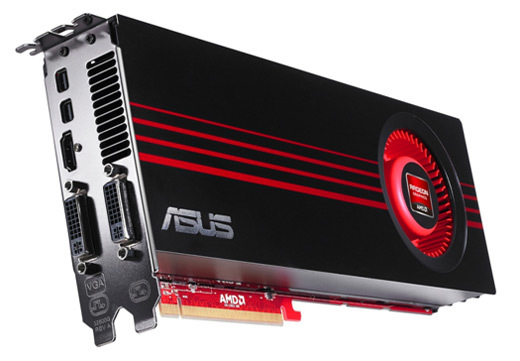 ASUS’ GTX570 also offers support for the latest in immersive gaming technologies such as NVIDIA 3D Vision™ and NVIDIA Surround™ technologies. ASUS’ GTX570 redefines the user experience by pushing on-screen resolution and image quality to new performance levels with NVIDIA SLI™ technology by combining multiple NVIDIA graphics solutions in an SLI-Certified motherboard. The ASUS GTX570 is factory overclocked at 742MHz with 480 CUDA cores, 1.28MB of GDDR5 video memory running at over 3.8GHz and a 320-bit memory interface that opens up performance by removing data transmission bottlenecks and allows a higher level of graphic fidelity. Support for NVIDIA® 3D Vision™ Surround in full 1080p HD — Allows users to experience 3D games, movies and photos on up to three* screens at once for the most immersive PC multimedia experience around. Support for NVIDIA® PhysX® advanced in-game physics create more realistic and immersive action in PC games. In addition continued and enhanced support NVIDIA® CUDA GPGPU applications allow for the next level in performance in support applications. HDMI 1.4a offers users the fastest, highest-bandwidth standard available for high definition video and audio output. The Power of ROG and NVIDIA SLI -The extreme processing power of the ASUS Republic of Gamers (ROG) Rampage III Extreme motherboard with three ASUS GeForce® GTX 580 graphics cards was recently put to the test in a record-breaking endeavor, where this ultimate combination served up an incredible 3DMark03 score of 217252** marks. ASUS' commitment to innovation is unbeatable, with a passion for continually producing hardware that brings users cutting edge performance. Minneapolis, MN – Bracketron, the leading innovator in mounting solutions for mobile consumer electronics, today introduced the new MobileDock Vent Mount. The mount attaches directly to an automobile’s air vent and features our patented new, adhesive-free mounting technology to hold your mobile device securely while you drive. “The MobileDock Vent Mount is yet another breakthrough in mobile mounting technology,” stated Bruce Gibis, President and CEO of Bracketron. “The product easily mounts to your vehicle's air vent and utilizes our TemporBond technology to securely hold your device, allowing easy, hands-free access to all device controls when you're on the go.” The MobileDock Vent Mount (P/N IPM-247-BL) is available at many leading consumer electronics retailers and on the Bracketron websiteat www.bracketron.com. About Bracketron Founded in 2001, Bracketron's successful first product offering, the custom bezel mount, was engineered for the professional installer looking for custom mounting solutions. Today, Bracketron is the leading manufacturer and supplier of mounting solutions and accessories for GPS, satellite radio, cell phone, iPod/iPhone/iPad, BlackBerry, laptop & netbook computer and other mobile electronics. Our robust product line includes innovative mounting solutions for your window, cup holder, dash, vent and visor. For more information about the company, visit www.bracketron.com or call 1.866.237.4443. FREMONT, CALIF., USA – December 9, 2010 - Patriot Memory, a global pioneer in high-performance memory, NAND flash, storage and enthusiast computer products, today announces the Supersonic USB 3.0 flash drive series with a native single-chip USB 3.0 controller. The Patriot Supersonic series breaks away from typical USB 3.0 flash drive and delivers blazing-fast performance with its Quad-Channel technology in a miniature ultra-light form factor. The Patriot Supersonic series eliminates performance bottlenecks introduced when using a separate USB 3.0 bridge chip by integrating a native USB 3.0 flash memory controller. This results in a smaller footprint and higher performance than bridge based solutions - see chart below. "Patriot is one of the first companies to integrate a native single-chip USB 3.0 flash memory controller. By pairing the controller with our Quad-Channel technology, we're able to maximize performance with the Supersonic series," says Les Henry, Patriot Memory's Vice President of Engineering. "We are able to shrink the physical size of the USB 3.0 flash drives for even greater portability. "An aluminium housing makes the Supersonic series ultra-lightweight, portable and stylish. The housing delivers extreme durability with shock resistance up to 15Gs to ensure safe transportation of your data. Expect the Patriot 32GB and 64GB Supersonic USB 3.0 flash drives to be available early Q1 2011. I remember wh en TV's were just TV's. But now your TV can tell you what the weather is, check your stocks, and even check email. But now you don't have to buy a new TV for that functionality. Thanks to the Boxee Box by D-Link, you can get all that functionality from your current TV. What is the Boxee Box? To make it simple, it is basically on multimedia internet hub. Thanks in part to Intel Atom processor built-in, the Boxee Box can do it all. It helps to bring the entertainment found on the internet to your fingertips. And it does so in HD 1080p and Dolby Surround Sound. From a hardware standpoint, it is small and cube-like in shape. It measures roughly five inches by five inches by five inches. It has an elegant looking glass black finish, and the green Boxee Box logo glows through the front when it is powered on. Connectivity is fairly simple. On the back are parts for HDMI, optical, composite audio, and a pair of USB inputs. On the side is an SD card slot for your personal files. So as far as video goes, it hooks up to your TV through the HDMA TV only. So while it adds a lot of functionality to your TV, you will need a newer TV with an HDMI input to take advantage of it. Setting up the device was very simple. It autom atica lly found my wi reless network. After typing in my password, it was time to configure the display. The Boxee Box walked me through that with ease. Once it was set-up, it was time to start surfing. From the Home screen, the Boxee Box is set-up with different categories. They include Friends, Watch Later, Shows, Movies, Apps, and Files. The Friends category is pretty cool. I linked it with my Facebook Account. Now, video posts from my Facebook friends can be watched here. Watch Later is pretty self explanatory - tag shows to watch later. Shows are TV shows, both current and old, and range from Prime Time shows to B rated online shows. Movies also range from Hollywood blockbusters to B rated as well. The applications give you access to other activities. Here is where you would go for activities such as checking email, weather, and Facebook. There are also apps for sites like YouTube. Netflix is scheduled to be supported in a month. You would access these files through the Files category. So how did it all come together? The image and sound quality from the Boxee Box was very good, and very HD looking. Navigation thru pages and typing in searches was simple using the well designed remote control. I really liked how you had the simple play/pause, menu, and navigation buttons on the front, and the keyboard on the back. It gave you access to the internet for features such as email, weather, and just general web surfing. There is also a great variety of TV shows and movies. And while it currently does not support Netflix or Hulu, that is coming soon. D-Link has done a great job in delivering a finished product with the Boxee Box. It gives you access to the internet for general surfing on your TV as well as access to both free and premium TV and movie sites. The Boxee Box would make for a great Holiday gift! Based on its performance it has earned our Editor's Choice Award. Congrats! For more info and complete specs, check out their website www.dlink.com. Up for review now are some accessories from Bracketron Inc. They help you take your gadgets on the go. The ones covered is the Universal USB Socket Changer, and the MobileDock Dash Mount. The Universal USB Socket Charger is just what the name implies. It changes your cars cigarette lighter into a USB plug. The MobileDock Dash Mount is a dash mount for your portable GPS, cell phone, or other small mobile device. We will start off with the Universal USB Socket Charger. It is a rather simple device. Just plug it into your car's cigarette lighter, and now you can charge your USB powered devices. It is extremely small with a low-profile flush design. Its output is rated at 5V and 700mA. There is a red LED to show it is on. And I am glad to report that it performed as advertised. Next is the MobileDock Dash Mount. This is also a simple product. The bottom features a suction cup to mount the device to your dash. On the front is the sticky pad to hold your device. There are two feet to hold the device on the mount. And then on the middle of the mount is the sticky grip that uses super sticky TemperBond technology to secure the device to the mount. It is compatible with all cell phones, and also gives you access to all the controls of your device. It will also work with many other portable devices, such as an mp3 player. I know this is not stereo or electronics related, but felt that a Consumer Alert was warranted. In planning my trip to the Consumer Electronics Show (CES) in Las Vegas that I cover every year, I had a room reserved at The Blaire House Suites. It is conveniently located between the strip and Las Vegas Convention Center. Not convenient however are their policies. I had a confirmation email stating my length of stay, and my rate. My credit card was already charged for the full amount. On their website it stated that they charge a deposit of one nights stay, so if you stay for say 3 days, you will be billed up front for one night. It also states that if you stay for a week, they will bill you the weekly rate all upfront. I was staying for a week, so I was charged for the full week upfront, and my credit card was billed. So far, not a problem. I was in town for one day during SEMA and decided to try it out. I stayed there for two nights. While I was there, I wanted to check on the status of my room for CES. I wanted to make sure my reservation was not lost. It was a good thing I did. They could not find my reservation, and I was told they would research it. I called back and was told that the rates had gone up (over double my rate). I emailed them my email confirmation stating that I already had a confirmation at my specific rate. They did not care. The manager did not help. The owner did not help! They state that their policy allows them to increase their rate. They also state they are not taking weekly reservations during CES. I told them that I had one. They would not hear anything of it. I have written documentation of their policies on their website at the time, as well as my confirmation. You may want to think twice about staying at this hotel. You could show up and be in for a surprise with an increase in your rate! That is almost what happened to me, but luckily for me I checked on my reservation. It is not a bad nights stay. Their morals and business practices are just out of whack. I have never heard of a hotel increasing their rates on you if you have an email confirmation. That is after all why you get your confirmation, and bring it with you incase there are problems. And in my case, not only did I have a confirmation, my credit card was already billed! I will say it again....I have never heard of a hotel increasing their rates on you if you have a confirmation, not anywhere. Not in Las Vegas, New York, Sidney....not anywhere! Las Vegas survives because of the tourism industry. I am surprised this is being allowed to happen there. If you have a reservation to stay or have considered staying at The Blaire House Suites.........you may want to think twice. Afterwards I found out they have an F rating with the Better Business Bureau. Sometimes space is at a premium. For this reason we have stereos that are designed for smaller spaces. Up for review is the JVC UX-LP5 shelf system. Not only is it compact, but it is also economical with an MSRP of $149.95. The JVC UX-LP5 is a compact shelf system that consists of three pieces. There are two speaker cabinets and the main console. The entire system has an elegant looking gloss black plastic finish. The speakers are a two-way design with a 3 15/16 woofer and 5/8 tweeter. There is a small single port at the back of each speaker. As there are separate pieces, the speakers could be spaced away from each other for a wider soundstage. For functionality, the JVC UX-LP5 features a single disc CD player, digital AM/FM tuner, iPod dock, and auxiliary input with remote control. The built-in amplifier provides 35 watts to each of the two speakers. The digital AM/FM tuner features 30 FM and 15 AM presets. There is also a sleep timer and multiple daily timers. The equalization is simple, but adequate. There are adjustments for treble, bass, as well as S. Turbo and HBS. HBS stands for Hyper-Bass Sound. This gives a big boost to the bass output. S. Turbo in contrast is more like a loudness button, boasting more than just the bass. The supplied remote control worked well for controlling the sources. For AM/FM you control volume, and station tuning. For CD’s and iPods you can control play, pause, fast forward, rewind, and skipping through tracks. You can also use repeat, random, and program playback order of tracks. On the back o f the console is a video out. When an iPod with video functionality is connected, you can output the video to your TV. While this is a great little system that many people would enjoy, it is just about perfect for a teenager. So, I let my teenage son put it through its paces. The sleep timer allowed him to go to sleep with music at night. And another timer woke him up to music in the morning. The digital tuner worked well enough. The CD player worked well for his audio collection, as well as the iPod dock. He connected his Playstation to it thru the audio input. He really liked the improved sound for his video games. The JVC UX-LP5 performed beautifully. Using the remote you can adjust the treble and bass. The S. Turbo worked well improving the sound. And the HBS really boosted the bass. The sound overall was great. What did my son think? Let’s just say there are probably still grasp marks on it still from prying it out of his hands. 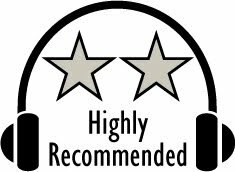 Based on its performance, it has earned out “Recommended” award. It would make a great gift for just about anyone, especially a teenager. For more info and complete specs, check out their website at www.jvc.com. As discussed in part one of the convertible spe aker review, a convertible speaker allows you to mount the tweeter over the midrange for a coaxial design. Up for review today is what I will call a convertible 3-way design, and is to my knowledge the only one of it’s kind. It is the Vibe Audio Space 6 3D component system, which has an MSRP of $499.95. It is a 3-way system with a super tweeter, midrange, and midbass driver. The midbass is a 6 ½ inch driver. While the housing for both the midrange and tweeter are around 3 inches wide, the midrange driver is nearly 2 inches wide (45mm) and the super tweeter is nearly 1.5 inches wide (38mm). The system is rated at 130 watts RMS, and 390 watts peak. Frequency response is rated from 50Hz – 35kHz, with a sensitivity of 88db. The midrange and tweeter housing are the s ame width for the convertible mounting which Vibe calls 3D. Here with the use of small spacers, the tweeter mounts directly over the midrange. So, with the midrange mounted flush, the tweeter sticks out slightly for a 3D look. The bottom of the tweeter is designed with a peak in the middle and sloped to the edges. This directs the sound from the midrange out from all sides for all unblocked sounds, radiating in all directions for a 3Dish sound. So when opting for this mounting option, you only need two cut-outs for your three drivers. Construction, design, and quality are all very good, as I have come to expect from Vibe Audio. The 6.5 inch midbass and 2 inch midrange both use aluminum drivers. The super tweeter uses a silk dome. The super tweeter and midrange also appear to feature their own tuning chambers. The magnet material used for the midbass is standard Ferrite, with Neodymium magnets in the tweeter and midrange. All three drivers came with steel mesh grills for protection when mounting as separate components. The grill in the tweeter is built-in. The midrange and super tweeter come w ith Oxygen Free Copper cabling already attached. The 6.5 inch midbass is also a well designed component. The cast aluminum basket gives it a solid feel. The aluminum cone also helps with cooling. The voice coil is actually attached to the aluminum cone, which helps cool the voice coil thanks to its mechanical thermal unity. The PU Dualroll surround is ribbed for improved bass response. The wiring terminals on the midbass are also very sturdy and clearly labeled red for positive and black for negative. The construction and design of the crossover network is also very good. There is a cast aluminum baseplate for the crossover. The passive crossover network also features high quality resisters and air coils. The crossover network also features tweeter attenuation. The smoked plexiglass cover over the crossovers is a nice touch. The plexiglass cover is also framed around the same thick cast aluminum found on the super tweeter, midrange, and midbass drivers. Calling the construction as solid for all of the included components would be an understatement. They were obviously designed for years of hard use. I also really like the 3-way design, and use of aluminum drivers. They were well designed, but now let’s hear how it all comes together. Next is the listening test. I started with The Very Best of Eric Kunzel: Puccini: Turandot – Nessun Dorma! The imaging was great with a nice soundstage. You could hear the tenor’s movement as he moves and changes singing directions on stage. Pitch definition was also excellent. Sing, Sing, Sing, on the same album had great low level dynamics in the tympanis and bass drums. The c larinet sounded natural. For vocals I turned to Boys to Men II: Yesterday. The vocal harmonies sounded not only natural, but were silky smooth like a Dove chocolate. To get the beat going I turned to Justin Timberlake: SexyBack. The dynamics were excellent as I would expect from a 3-way system. The low end extension and midbass beats came out with lots of authority! I could hear that they benefited from the 3-way system. The crossover network sent the midrange signals to the midrange driver, so all the midbass had to worry about was just that- midbass. With it being the Christmas time of year, I thou ght it only appropriate to a lso use some Christmas music. Mannheim Steamroller’s Christmas: God Rest Ye Merry Gentleman yielded some excellent resolution, and a big soundstage. The pitch definition and resolution from the bass drum was astounding. The soundstage seemed to extend beyond my car. I heard details not heard before. Last but not least was Christmas in the Aire: Pat a Pan. The flute had a lot of air. The wood block and other percussion instruments were really crisp sounding with a lot of resolution. The violin also sounded very natural. Overall the sound was nothing short of stellar. The 3-way system helped each driver specialize in producing what they were designed for, and gave a nice full sound. I am a big fan of strong midbass upfront in the soundstage, and the 6 ½ midbass delivered in spades. And you can do so without the expense of midrange performance as they are handled by separate drivers. The Vibe Audio Space 6 3D component system is great for those wanting a competition sound system, or just want audiophile quality sound. The aluminum driv ers provided crisp and cle ar sound full of resolution and controlled bass response. One of the best parts is at only $499.95 for a 3-way component system with this quality of sound, they are a bargain. Other manufacturers may want to take notice, because this is another great product from Vibe Audio, and it appears the gloves are off! There are truly few downsides to this system. Except for maybe after purchasing this set, you may want to upgrade your receiver, and add other gear such as a trunk mounted electronic equilizer. But then again, is that really a bad thing?? 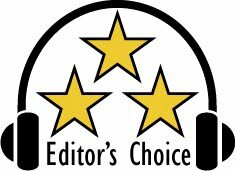 We are happy to announce that the Vibe Audio Space 6 3D component system has earned our Editor’s Choice award. For more info and complete specs, check out their website at: http://www.vibeaudio.co.uk/. Reference gear used was a Kenwood Excelon KDC-X991 Receiver, and Vibe Audio LiteBox Stereo 4 Class GH Hybrid 4 Channel digital amp. When it comes to football, and game day, there is a lot of fun to be had. One of the best, other than the actual game, is tailgating. Hanging out with friends, eating good food, and talking about the game is always fun. But what about tunes? Thanks to the Ion TAILGATER, you are covered. The $149.99 MSRP TAILGATER looks like a small guitar amp and speaker. It has a built-in eight hour battery, and an iPod dock. Just connect your iPod and you have instant tunes. There are connections for two microphones. There are also volume controls for master volume, and for each of the two microphones and the iPod. The box is a ported design with a small part, a 6 ½ woofer, and a 1” tweeter and 20 watts of power. It also accepts other devices through a stereo RCA input. On the rear of the device there is also a series of LED lights to tell you the status of the battery l ife. A recharge takes 6 hours. Construction quality appears good. The enclosure feels fairly solid, given my knock test a few times. But with it being electronic gear, I would not put it to the test by throwing it around. The volume controls are simple silver plastic, but gets the job done. Listed at over 20lbs. it does feel pretty solid. The TAILGATOR proved to be simple to use. Just connect your iPod, select the songs to play, and crank up the volume. Your tailgate party is instantly livened up. Whether it is an actual tailgate party, a day at the beach, at the park, or just hanging out with neighbors in the driveway/garage, you have tunes. I will say up front that this is not an audiophile speaker like my NHT Classic Three’s. I was not expecting audiophile sound. But what I did hear was fairly impressive, and was better than I expected. The 2-way ported design played well, and also pretty loud. While turning the volume up full blast yielded distortion, turning it down just a tad helped that. To test out the sound quality, I threw a bit of different music at it, from Steve Miller Band, to Journey, to Madonna, it all played well and loud. It performed better than expected. The included microphone also sounded great. And for those of you that like karaoke and already know the words, you can sing along with the included microphone which is also pretty solidly made. There are i ndividual volume controls, so you can have the music loud and the mic soft, or just the opposite. And with a 2nd input, you can connect up a 2nd microphone or other instrument. If you or a loved one is an avid football fan, this could mean trips to the stadium for games. The ION TAILGATOR could be a fun addition and just what the party needed. As such it could make for a great gift for a loved one. 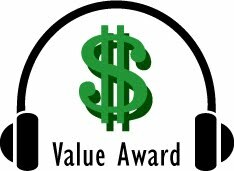 I believe the TAILGATER is a great value, and as such has earned our Value award. Congrats! For more information and complete specs, check out their website at: http://www.ionaudio.com/.